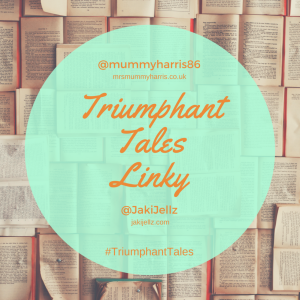 For the 8 years that I had my allotment I loved the time I spent there – the big expanse of sky as I walked through the gate, the fresh air, the swathes of colour, the neighbourly chats, the sweaty brow, the tired muscles, the fresh food on my plate. Even just thinking about it as I sit on my bed at home, laptop hot on my legs, makes me smile (and sigh wistfully). It was such a hard decision to let it go in 2014 after finding it too difficult to juggle the time it needed with life as a new Mum. Fast forward 4 years and I’m so happy to be back on the plot growing on a small patch of soil on our allotment guardian Dave’s plot. What really gladdens my heart is to be gardening with my boys. 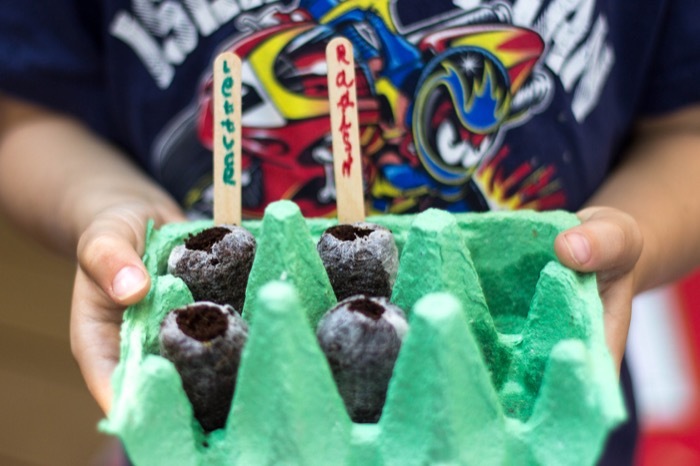 I may not be as productive as I used to be but there’s nothing like seeing a child’s curiosity and excitement grow alongside the seeds-to-plants-to-food they help nurture. 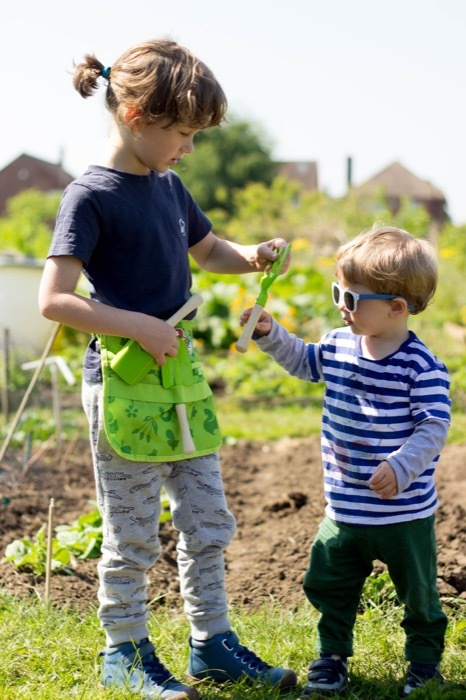 Both boys are so willing to muck in, literally often, and I hope we may be seeding a life long love of connecting with nature through allotment gardening together. Not everyone has the opportunity to garden together so I know how lucky we are. 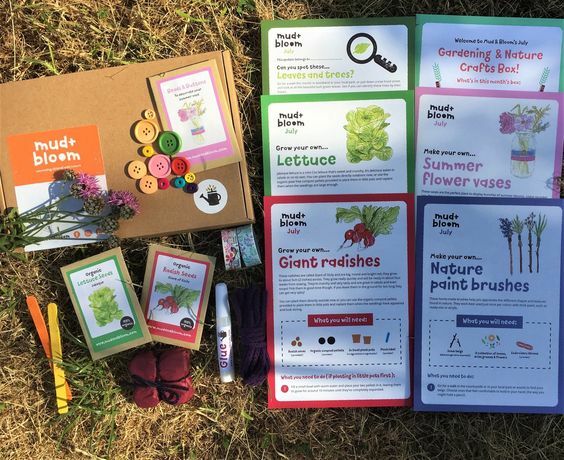 There are some great ways for engaging children with nature and our recent involvement with the Wildlife Trusts #30DaysWild challenge and Friends of the Earth’s Great British Bee Count are just a couple. Some of our favourite outdoor spaces often provide nature activities in the school holidays like the butterfly scavangar trail at Crickley Hill last year or the Nature explorers days held at Robinswood Hill. For people who don’t have easy access to outdoor spaces there’s now a way of bringing a little bit of the outdoors inside with a Mud and Bloom subscription box, delivered to your door on the first day of each month. After giving up full time work Anja enrolled on an RHS Horticulture Course planning to set up a gardening business that would fit around looking after her children. She began writing about children and nature on her Mud & Bloom bloom blog and was overwhelmed by responses from other parents wanting to find ways of getting their children into nature. 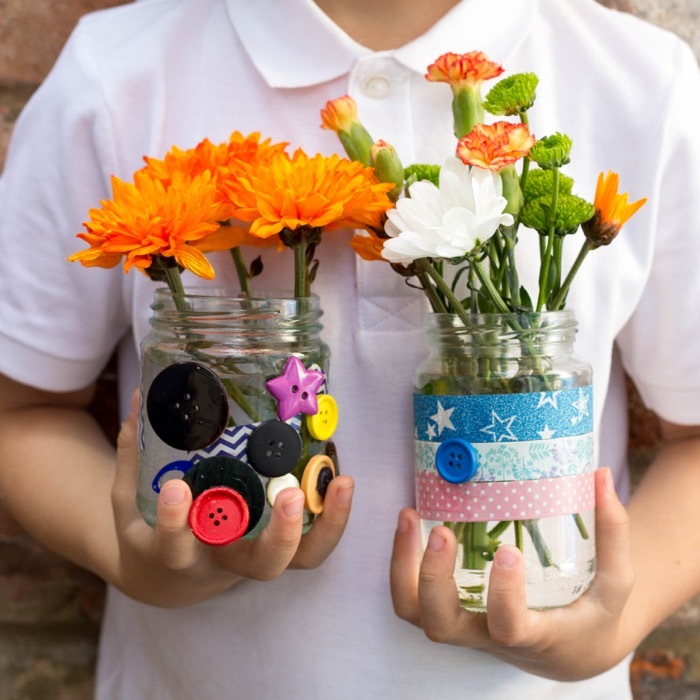 She saw a way of combining her love of gardening, crafting and being outdoors to create activities for busy parents to do with their children at home. Anja’s boys had enjoyed a couple of monthly craft subscription boxes but there was nothing available based on gardening or nature. And so Mud and Bloom was born and launched in December 2017. I contacted Anja to see if she would like Euan to try her subscription service and having seen what a diligent reviewer he is she kindly sent us the July box. I intended to keep it aside for the school holidays but after sneaking a peep into the box decided it would make a wonderful Sunday afternoon activity for respite from the ongoing heatwave. Although it’s aimed at 3-8 year olds I knew 2 year old Luca would want to get in on the action and I was able to pull together a few of our craft supplies to match Euan’s so they could work on it together. It’s wonderful that the box provides everything you need for a seasonal gardening activity (instructions, quizzes, seeds and even compost) and a crafting activity (building materials, seasonal treasures, tiny tubes of glue or paint). Activities have been created by qualified teachers and they support the National Curriculum with influence from Forest School, Steiner and Montessori education. at £7.95 per month including UK postage and there is no minimal subscription so you can cancel at any time. You can also arrange delivery as a gift with a 3 month subscription which is such a fabulous feature or buy a previous box. I’ve often looked at Magazine subscriptions or gift boxes as an alternative to presents for Euan but a year’s subscription becomes an expensive suggestion. The subscription box arrives addressed to your child which is so exciting and I love that the packaging is re-usable. and contrary to what people say about a toddler’s ability to concentrate Luca was absorbed in his gluing and sticking for nearly as long as Euan. If it hadn’t been such a hot day I think Euan would have happily extended his Mud and Bloom crafting activity by decorating the delivery box with the leftover tape as a keepsake for his instruction cards. I always appreciate it when packaging can be turned into a rainy day activity too! The activities will help your children engage and connect with nature – helping them learn about and interact with plants, insects and the seasons. The boxes will be delivered to your door with all the seeds and materials needed for the gardening activity – there’s no need for you to have a garden or tools. 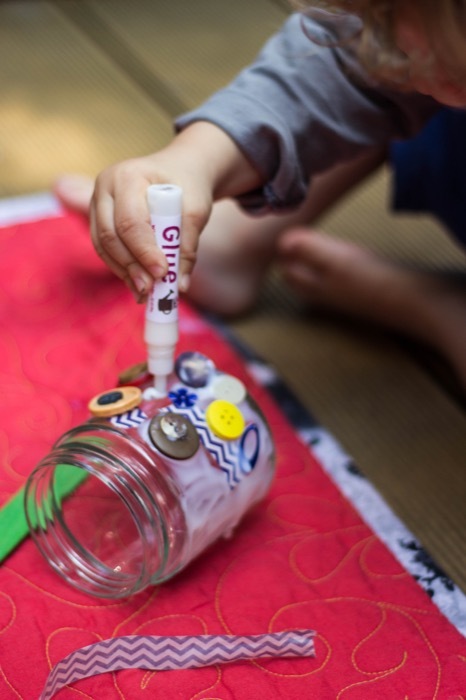 Nature craft activities are designed around things that can easily be found in parks and gardens! I had fun decorating a jar too and will be using it for storing all the ice lolly sticks we’re collecting for an ”I’m bored” ideas jar.). We haven’t managed to do any artwork with our own nature paint brushes yet but there’s a terrific review at Lisa’s notebook that shows you how that might turn out. Disclosure: we were sent the July subscription box free in exchange for a review. We were not required to write a positive review and all opinions expressed are my own. Family gardening is wonderful but I also love the little jar vases they decorated. Hi Nic, it must have been heartbreaking having to give up something you loved, but everything worked out alright in the end, Dave sounds like an angel. Connecting with nature, even in some small way, can make us feel so much better inside. Watching how creatures live and plants grow is magical through the eyes of a child. 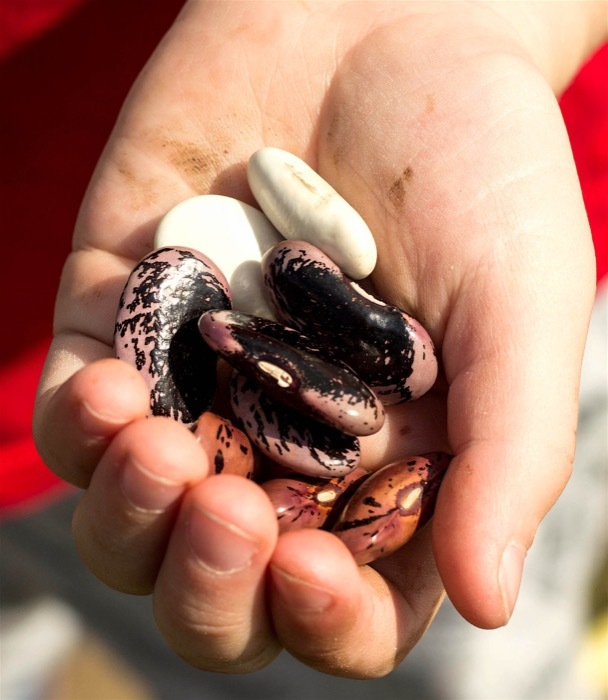 Knowing that we can eat what we grow must encourage healthy eating in children too. The monthly subscription box sounds like a great idea for filling a few hours on a Sunday afternoon. Such a cute idea! I’m going to go do the ‘nature paintbrushes’ with my son as soon as he’s up from nap! I love this idea for a subscription box! I would definitely get something like this in the states if I ever have children. I enjoy doing crafts as well and all of these activities would be great to share with children. Thank you for sharing on the #MyGloriousGardens September Link party!